The time has finally arrived! During the second Team Captain’s Meeting on Tuesday, eager anticipation for the first training run (tomorrow 11:30 hrs, live on ORF1) was palpable. Chief of Race, Axel Naglich, and FIS Race Director, Markus Waldner, clarified final details on the course with the teams, such as a small change to the Seidlalmboden section, before the start numbers were drawn. 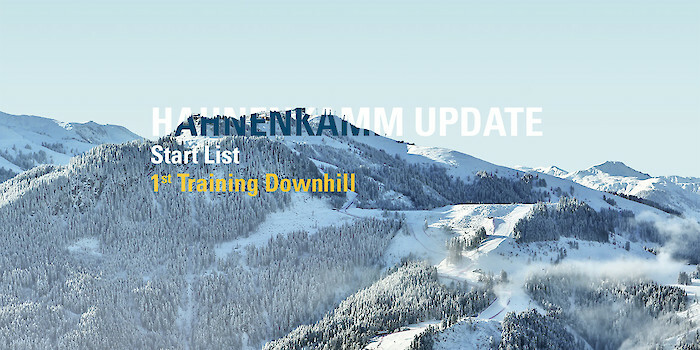 Tomorrow’s training will be opened by Norwegian Aleksander Aamodt Kilde, followed by Patrick Küng and Erik Guay, before Hannes Reichelt takes to the Streif as the first Austrian athlete. Other notable start numbers: Max Franz starts in tenth position, Kjetil Jansrud in 13th, Dominik Paris in 15th and Matthias Mayer in 18th. The entire start list in detail.